Jinja2 is a modern and designer-friendly templating language for Python, modelled after Django’s templates. Jinja2 is a modern day templating language for Python developers. It was made after Django’s template. It is used to create HTML, XML or other markup formats that are returned to the user via an HTTP request. If you have any exposure to other text-based template languages, such as Smarty or Django, you should feel right at home with Jinja2. It’s both designer and developer friendly by sticking to Python’s principles and adding functionality useful for templating environments. 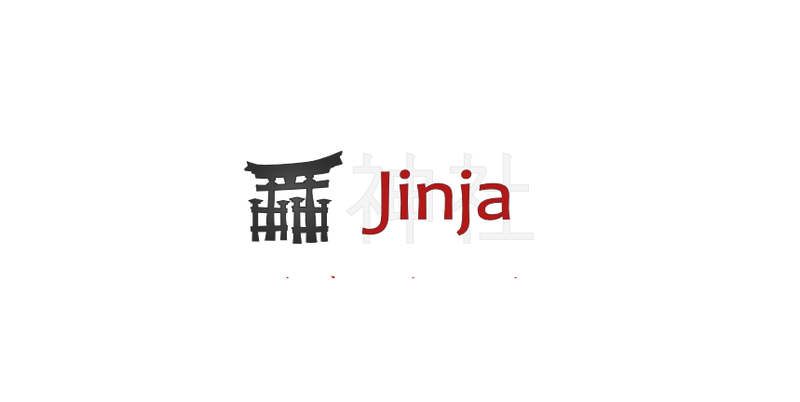 The Jinja template engine allows customization of tags, filters, tests, and globals. Also, unlike the Django template engine, Jinja allows the template designer to call functions with arguments on objects. Jinja is Flask’s default template engine. Sandboxed execution mode. Every aspect of the template execution is monitored and explicitly whitelisted or blacklisted, whatever is preferred. This makes it possible to execute untrusted templates. powerful automatic HTML escaping system for cross site scripting prevention. Template inheritance makes it possible to use the same or a similar layout for all templates. High performance with just in time compilation to Python bytecode. Jinja2 will translate your template sources on first load into Python bytecode for best runtime performance. Easy to debug with a debug system that integrates template compile and runtime errors into the standard Python traceback system. Template designer helpers. Jinja2 ships with a wide range of useful little helpers that help solving common tasks in templates such as breaking up sequences of items into multiple columns and more. A template contains variables which are replaced by the values which are passed in when the template is rendered. Variables are helpful with the dynamic data. Now, in the modern web world, we have less of static data and more of dynamic data being requested from clients and therefore sent by the server. The web totally depends on what the client is asking for, and on which user is signing in and who is logging out. So, Jinja2 templating is being used.